The 7 Days Discover Rwanda Gorillas Safari will expose you to most of interesting natures among the thousand hills. The tour experience deep you into the volcanoes that habit the remaining mountain gorillas in Africa, visit to the Dian Fossey centre, the Nyungwe tropical forest home to chimps and other primates, birdlife species, visit the Rwanda genocide centre an album or store for skulls of thousand Rwandans’ who lost their lives over the political era between the two indigenous tribes, the Hutus and the Tutsi group. 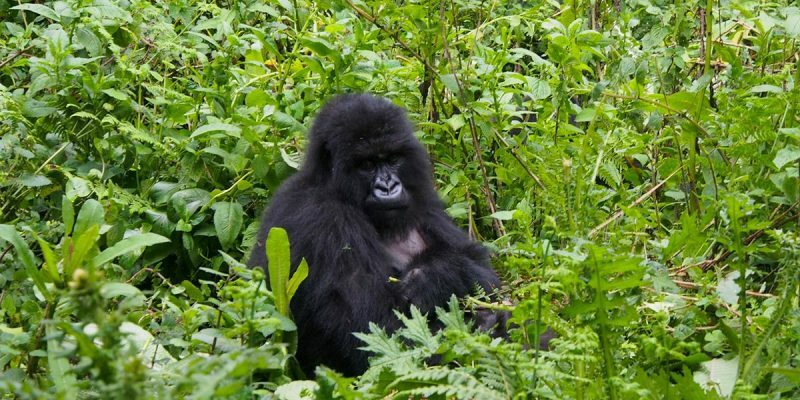 Airport transfer with private vehicle and Discover Rwanda Gorillas Safari guide. Transfer to Volcanoes National Park with private vehicle and driver. Your guide will take you on a tour of the new and vibrant capital city of Kigali. The new prosperity features a number of thriving markets and features the mountain terrain famous in Rwanda. A sober contrast to its recent history. For survivors and others whose families were murdered in Rwanda´s genocide 1994, the Memorial sites and centres are places of dignified remembrance for loved ones lost. It is also a place of reflection and learning for the wider community, both in Rwanda and internationally. Ranging in altitude from 2400km to 4,507 the Volcanoes National Park (French: Parc National des Volcans) is dominated by the setting of volcanoes after which it is named. Best known to the outside world as the place where for almost 20yrs the American primatologist Dian Fossey under took her pioneering studies of mountain gorilla behaviour. The Discover Rwanda Gorillas Safari accommodation is ideally positioned for those who want to watch animals in their habitat, specifically the endangered Rwanda Mountain Gorillas that still roam these areas. Share in the cuisine of Rwanda, which is served with the hospitality for which we all return to African countries. Take walks, learn more about the gorillas, and absorb the gorgeous surrounding landscape. Have breakfast and go to ORTPN offices for briefing after that set off in the forest for Gorilla trekking. A thrilling trek through the refined foothills of the Virungas provides inspiring views in all directions. Then, suddenly, the trail enters the national park, engrossing trekkers in the strange closeness of the rainforest, alive with the calls of colorful birds and chattering of the rare golden monkey, and besieged with fresh spoor of the mountains’ elusive populations of buffalo and elephant. Early morning breakfast, after visit to the renowned Dian Fossey Research centre and Grave Yard, where Dr. Fossey, a distinguished primatologist spent close to two decades bringing into the light, learning and safeguarding the endangered Rwanda Mountain Gorillas. Dawn breakfast, after depart and follow the Discover Rwanda Gorillas Safari trail to the Nyungwe Forest southern region of Rwanda. This Forest has a diversity of surroundings including montane forest, bamboo, grasslands, swamps and bogs and is very mountainous as well. It gives some of the most excellent Golden Monkey trekking experiences over the canopy trekking trail in East Africa. Dinner and overnight at Nyungwe forest lodge or Gisakura Guest House. Meal plan: Full-Board. Early morning breakfast, and then the Discover Rwanda Gorillas Safari driver will drive or go to the point of Chimpanzee trekking experience in the jungle and search for habituated Golden Monkeys. Other primates in the forest include the grey-cheeked mangabeys, blue monkeys, Angolan Columbus, L’hoest monkeys and owl-faced monkeys. After breakfast, embark our safari vehicle and drive to the Genocide Memorial where remains of thousands of Tutsis and moderate Hutus are conserved. Dinner and overnight at the Hotel Des Millecollines. Meal plan: Full-Board. Today is reserved for departures either back to your mother land or other destinations of your option. End of services, Meal plan: Half-Board.